STEP UP AND ENTER THE DUEL ZONE! 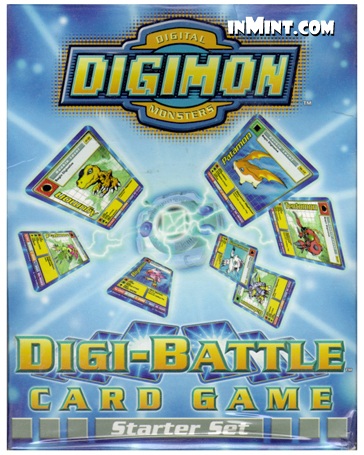 Digimon Digital Monsters battle for supremacy in this exciting game based on the popular Digimon TV Show! Match your favorite Digimon in duels to see who has more Digimon Power! With your help, they can Digivolve into even more powerful monsters as the power of battle swings first one way, then the other! 2 Player Pack! 62 Game Cards, Bonus Mat & 2 Counters Included! Includes 3 Holographic Cards!